Лазер (Laser) is an experimental film starring renowned dancer Maria Kochetkova performing on an illuminated stage of laser light and fog. 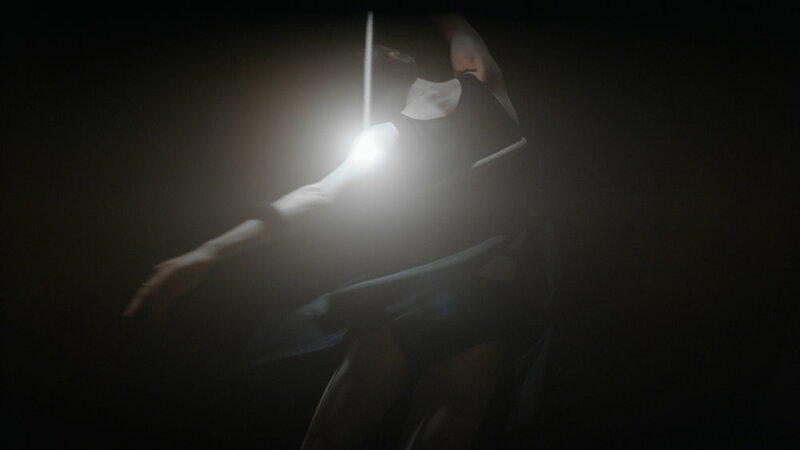 In this film, Kochetkova navigates a world of floating light in a unique improvisation between dancer and environment. My role in this film was the laser design and performance. After helping perfect the technique that allowed the light to be captured floating in segments, a midi controller was rigged as to allow a live performance of the laser animations. The shoot was an unscripted live performance, Kochetkova danced as I manipulated the controls to create a visual environment that best fit the movements. As we became more in tune with each other, who was reacting to what became lost in the fog and music.